Every good vacation includes plenty of shopping. Even travelers who prefer tents and muddy trails over luxury hotels and spa treatments enjoy retail therapy at the end of their experience. 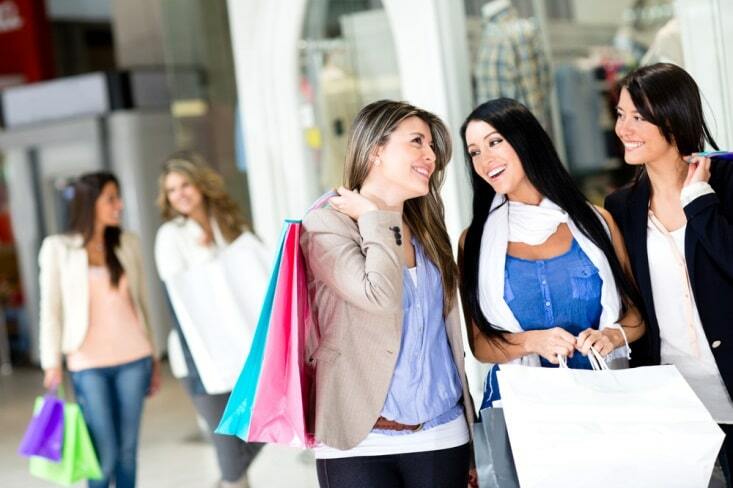 Luckily, Niagara Falls is full of malls and shopping centers perfect for any amount of shopping a tourist might want. Read on for six ways to get your shopping fix in the Niagara Falls area. Intrepid shoppers should consider their accommodations’ locations while making their vacation plans. Most dedicated shoppers would be wise to take advantage of any one of the luxurious hotels in the Fallsview district of Niagara Falls due to its prime location amidst miles of shopping opportunities. Additionally, once one’s party is all shopped out, this area of the city is the best — bar-none — for attractions like theaters, games, rides, and views of the falls. Right in the middle of the action, Clifton Hill is chock full of prime shopping opportunities for interested travelers. Shoppers can find everything under the sun — from Niagara Falls souvenirs to high-end boutiques and even specialty shops with award-winning wares — and with the right hotel you won’t even have to drive to get there. Every savvy shopper knows that the best place to find deals on designer items is at an outlet mall, and Niagara Falls is full of them. Canada One is open 364 days every year, meaning even if you vacation during the holidays you’ll have somewhere to shop. More than 40 brand-name stores comprise the outlets, including Coach, Lululemon, Guess, Nike, Samsonite, and more. If you’re hoping to hit up this outlet, you should pack their suitcases lightly to make room for your huge haul. Just a short eight minutes from Clifton Hill and the center of Niagara Falls, this giant mall has more than 70 stores and restaurants to fill a whole day of Niagara shopping. Retailers of all stripes call this shopping center home; whether you’re looking for the latest fashion trends or a place to catch a movie, Niagara Square has it all. Get a dose of quintessential Canadian shopping by visiting this mall on your vacation. Like we said before, Niagara Falls is an outlet shopper’s paradise. This collection of outlets is located near the cozy town of Niagara-on-the-Lake, which is a scenic place to explore on its own. However, serious shoppers can’t miss out on the 520,000 square feet of shopping available at the neighboring outlets. More than 100 brands will have storefronts once this magnificent shopping center is completed. In the unfortunate event you were so distracted by all the attractions that you missed out on buying any souvenirs, Niagara Falls State Park has a handy online shop to help you preserve your memories in a timeless keepsake. While you won’t get access to the outlets and malls until you come back on your next trip, you can still save the memories from your last by ordering a souvenir online.